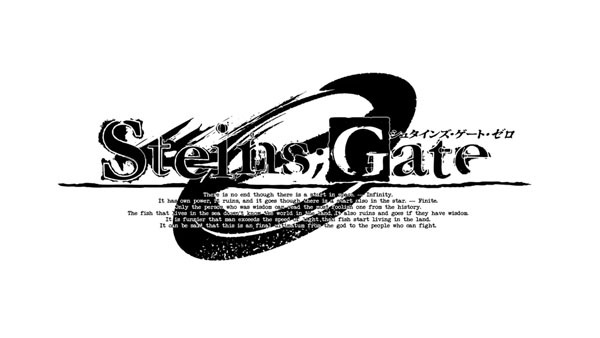 Steins;Gate 0 – road map by ferryjan and Smashero. Estimated trophy difficulty: 1/10 (personal opinion). Offline trophies: 28 ( 1 , 5 , 12 , 10). Approximate amount of time to platinum: ~1h. Number of missable trophies: None if you follow the guide. Does difficulty affect trophies? N/A. Do trophies stack? So far 7 - 3 x JPN (PS3 + PS4 + Vita), 2 x KOR (PS4 + PSV), 2 x EU/US (PS4 + PSV) versions stack. Do cheat codes disable trophies? No Cheats. This will be my... our first guide, so all the comments and opinions are highly appreciated. Of course if any additional formatting of the guide shall be done - please let me know. The guide was tested more than six times, so we can guarantee, that you will for sure get the platinum if followed correctly. I apologize in advance for basic English sentences in this guide, but... There always has to be the first time, right? :]. First of all I would like to thank ferryjan for his translation from Chinese and all help provided while creating this guide. Second – that’s the easiest game from “Steins;Gate” franchise, hundreds of saves are not necessary, getting through all messages nor finding some hidden CGs. Really quick and easy novel. I will always refer to those three icons while necessary in the guide. During the fast-skipping with the game will ALWAYS stop before the action/choice has to be done. Every break is mentioned in the guide as “stop x”. Always when you have to answer to the text message, you have to press until the “message-exchange” dialogue will finish, then you need to close the phone with and proceed with . Select your “TEXT” options as per picture below to allow quick skipping. Edited by Smashero, 22 December 2016 - 03:32 PM. Stop 1 (11/23-TUE): , open RINE icon, don't reply, close it with , continue skipping with . Stop 2 until Stop 10: same as Stop 1. Trophy 2 - after Stop 8. Stop 11 (11/29-MON): Only one tricky part: press few times – you shall see annotation of the top of the screen with new TIPS received, then your phone shall appear. Continue to skip with . (NOTE! The issue is that you can miss the TIP #69 if you will open the phone too early). Stop 12 (12/5-SUN) and 13 (12/5-SUN): , open RINE, don't reply, close it with , continue skipping with . Stop 14 (12/5-SUN): You will receive a phone call, don't pick it up - press 6 x instead, don't press , continue skipping with . Stop 15 (12/15-WED): , open Amadeus (third icon). Stop 16 (12/15-WED): and then to answer the call. Stop 17 (12/15-WED): , you will be asked to shut down your phone or not, choose OK.
Stop 18 (12/15-WED): , select contacts (first icon), then choose the first person and press OK.
Stop 19 (12/15-WED): , open RINE, reply with the third choice (press right button twice, then keep pressing until you will be forced to close your phone with ). Stop 20 (12/17-FRI) and 21 (12/20-MON): , then proceed with . Stop 22 (12/20-MON): Press , open RINE, reply with the second choice (press right button once, then keep pressing until you will be forced to close your phone with ). Stop 23 (12/23-THU): Press , select contact, then call the third person from the top. Stop 24 (12/23-THU): , open RINE, reply with the second choice. Stop 25 (12/23-THU): , choose RINE, then proceed with . Stop 26 (12/24-FRI) and 27 (1/2-SUN): , open RINE, reply with the first choice. Trophy 6 - (after stop 26). Stop 28 (1/2-SUN): , select contacts (first icon), then choose the last person and press OK.
Stop 29 (1/2-SUN): , then proceed with (answer the call). Stop 30 (1/2-SUN) and 31 (1/6-THU): , open RINE, reply with the second choice (press right button once, then ). Stop 32 (1/6-THU): , open RINE, reply with the first choice (don't press right button, just ). Stop 33 (1/11-TUE): , choose RINE, then continue skipping with . Stop 34 (1/15-SAT): Don't answer the phone call, press 8 times (don't press ), then continue skipping. Stop 35 (1/15-SAT): , choose RINE, then proceed with . Stop 1 (1/2-SUN): Don't answer the phone call, press , to start skipping. Stop 2 (1/2-SUN): , open RINE, then proceed with . Stop 1 (1/15-SAT): , then choose the left option (answer the call). Stop 1 (11/23-TUE): , open RINE, reply with the first choice (don't press right button, just ). Stop 2 (11/23-TUE): , open RINE, reply with the second choice (press right button once, then ). Stop 3 (11/28-SUN) and 4 (11/28-SUN): , open RINE, reply with the third choice (press right button twice, then ). Stop 5 (11/29-MON): , open RINE, reply with the second choice (press right button once, then ). Stop 6 (11/29-MON): then to answer the call. Stop 7 (12/5-SUN): , open RINE, reply with the third choice (press right button twice, then ). Stop 8 (12/5-SUN): then to answer the call. Stop 9 (12/15-WED): , choose Amadeus (third icon). Stop 10 (12/15-WED): then to answer the call. Stop 11 (12/15-WED): , choose “cancel” (right option), then press few times and continue to skip with . Stop 12 (12/21-TUE): , choose RINE, then continue skipping with . Stop 13 (12/24-FRI): , choose Amadeus. Stop 14 (1/21-FRI): , choose RINE, then continue skipping with . Stop 16 (1/23-SUN): , open RINE, reply with the third choice (press right button twice, then ). Stops 17 (1/23-SUN), 18 (6/25-SAT), 19 (6/25-SAT): , then and continue to skip with . Trophy 16 - after Stop 17. Stop 1 (1/23-SUN): Skip the call with (don't press ). Stop 2 (7/3-SUN): , choose RINE, reply with the second choice (press right button once, then ). Stop 3 (7/7-THU): , choose RINE, then continue skipping with . Stop 4 (7/7-THU): , contacts, call the last person on your contact list. Choose Clear list, go back. Choose CG library, go back. Choose Sound Library, go back. Choose Movie Library, go back. Edited by Roughdawg4, 05 December 2016 - 08:07 PM. Welp, that saves me the trouble of having to make a PS3i version of the guide when/if I decide to do it. Thanks to Haptism for the sig! all 3 stacks are physical and japanese? 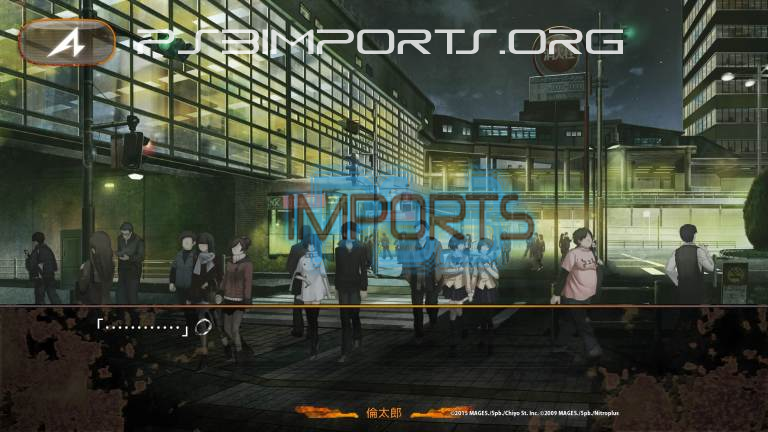 1 version shows ps3 psv and ps4 and 2 others show ps3 and psv.. I'm fairly certain the one list is just broken and lists everything, but Is only for PS4. so if i order these iam safe? The only flaw that I see is this guide is there is no dates on when you receive texts and phone calls. 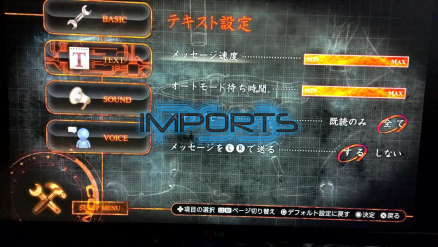 This is very essential to any S:G game. The only suggestion I would make is to add a picture in between the stop 2 and stop 11. That is alot of steps to count and it might be better to also add a visual picture of the 11th stop. Thank You all for your comments and suggestions. Good to know that the guide is actually useful . Roughdawg4: Good point! Screenshot from "Stop 11" added to the guide. MainComptonese: IMHO for this title the dates of events are not really necessary since you can not actually miss anything while skipping, but... What the hell, why not . In-game dates of "stops" added! Edited by Smashero, 08 January 2016 - 03:18 PM. Very easy with the guide thank you.